Our first-ever Contemporary Decoy Exhibition at the 2016 Long Island Decoy Collectors Association Annual Show was a success overall but did experience some problems that prevented it from being as good as it could or should have been. Antique decoys and a Narrative were displayed to explain the historical roots of decoys and decoy competitions. 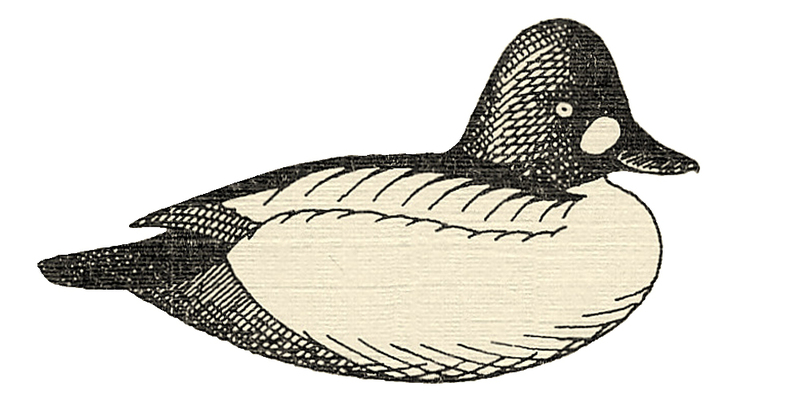 Craig Kessler organized the contributed decoys of numerous LIDCA members; Steve Sanford prepared the Narrative and its illustrations. We had more entries than we anticipated and had to add several more tables on-the-fly. A total of 106 decoys was entered by a total of 38 carvers from 7 states. Mary Meyers received the mail-in entries and helped to register all of the birds on the day of the Show. Ray Geminski – aided by an impromptu team of “runners”, including Ted Sadleir, George Combs and George Rigby – photographed each of the 106 entries. Subsequently, Steve Sanford edited each portrait and is working with Ryan Yanelli to post all on the LIDCA website. Approximately 150 ballots were cast by the public. Votes were tallied by a 3-person team: Mary Meyers, Bill McKinley & Ted Sanford. Blue Ribbons were awarded for first place (most votes) for each species. In addition, a Best-in-Show framed certificate was awarded one decoy in the Shang Wheeler Class and one in the Al McCormick Class. Here are the portraits of the 106 entries. Our apologies to the carvers – and viewers – for the few less-than-crisp images. A couple of these birds are a bit to fancy for the category – especially the paint. We disqualified no birds during Year 1. I hope you have enjoyed all of the creativity and talent – and the different styles among our many fine carvers.